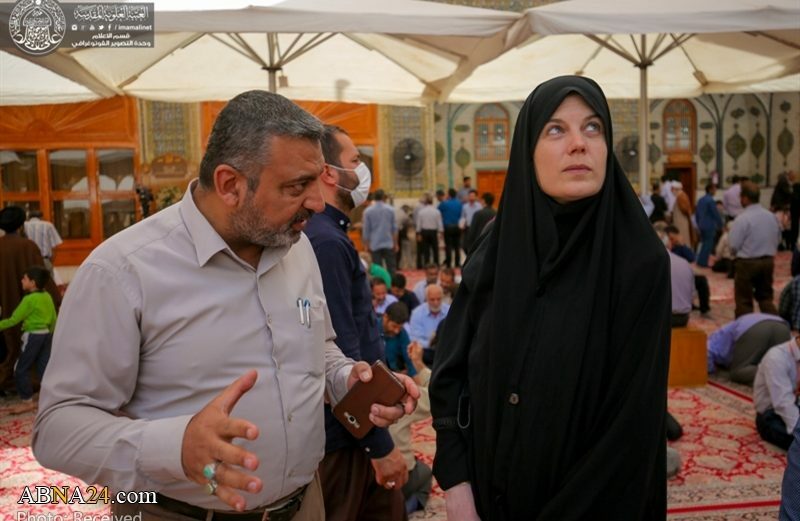 SHAFAQNA – The Swiss researcher, Alfera Karbooz, visited the holy shrine of Imam Ali (PBUH). 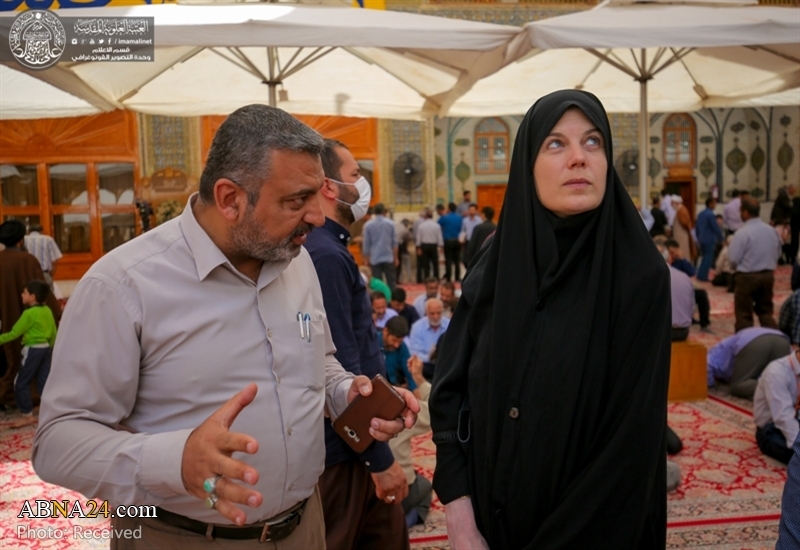 She saw the archeological sites and the landmarks of the holy shrine. Moreover, she visited al-Rawdha al-Haidaryah library. Afterward, she met with Fa’iq al-Shimmari, the head of the Media Department. 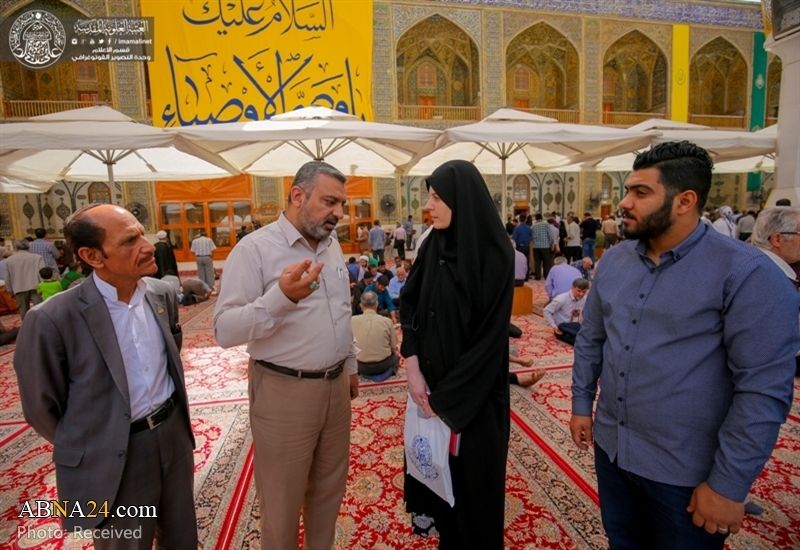 In a statement to the Media Center of the Holy Shrine, Karbooz said, “Ten years earlier, I visited the holy shrine of Imam Ali (PBUH) and this is my second visit. I am specialized in writing research about Najaf city and I have visited many research centers and libraries. I found many books and collected many pieces of information for my researches. https://en.shafaqna.com/wp-content/uploads/2018/03/is-7.jpg 550 800 catherine https://en.shafaqna.com/wp-content/uploads/2018/10/new-logo-s-en-fine.png catherine2018-03-28 11:30:342018-03-28 11:30:34Swiss researcher visits Imam Ali shrine: "I feel my dreams came true"